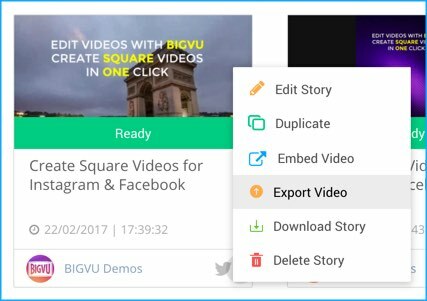 How to do I export to YouTube, Facebook or Twitter? Configure your destination profiles on My Profile page on desk.bigvu.tv. 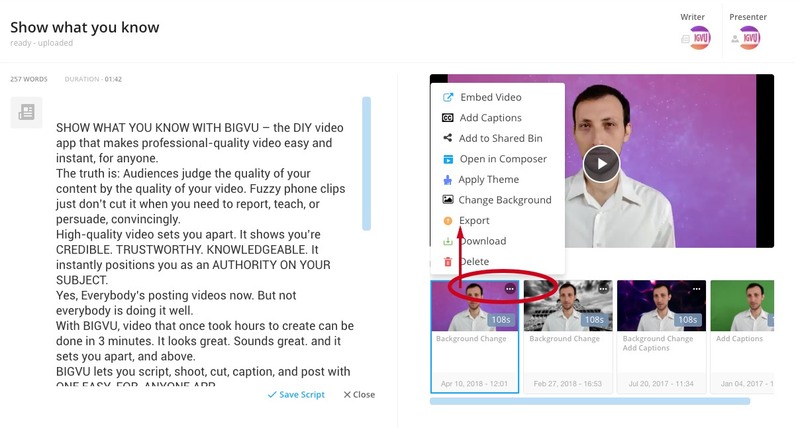 Add the description text and your keywords in the export window before exporting to Facebook, Twitter or YouTube. Configure your destination feeds - My Profile Page.